Say it’s so, Joe: The potential health benefits -- and drawbacks –- of coffee. But (you knew there would be a “but,” didn’t you?) coffee isn't proven to prevent those conditions. Researchers don't ask people to drink or skip coffee for the sake of science. Instead, they ask them about their coffee habits. Those studies can't show cause and effect. It's possible that coffee drinkers have other advantages, such as better diets, more exercise, or protective genes. So there isn't solid proof. But there are signs of potential health perks -- and a few cautions. If you're like the average American, who downed 416 8-ounce cups of coffee in 2009 (by the World Resources Institute's estimates), you might want to know what all that java is doing for you, or to you. Hu calls the data on coffee and type 2 diabetes "pretty solid," based on more than 15 published studies. "The vast majority of those studies have shown a benefit of coffee on the prevention of diabetes. 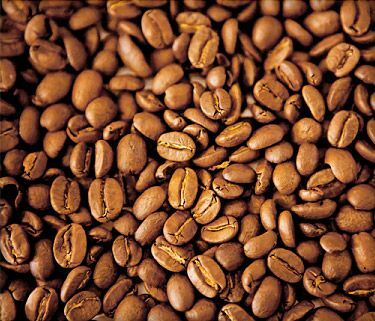 And now there is also evidence that decaffeinated coffee may have the same benefit as regular coffee,” Hu tells WebMD. “It’s the whole package,” Hu says. He points to antioxidants -- nutrients that help prevent tissue damage caused by molecules called oxygen-free radicals. “We know that coffee has a very strong antioxidant capacity," Hu says. It's probably not the caffeine, though. Based on studies of decaf coffee, “I think we can safely say that the benefits are not likely to be due to caffeine," Hu says. First, there's the potential effect on type 2 diabetes risk. Type 2 diabetes makes heart disease and stroke more likely. “For Parkinson’s disease, the data have always been very consistent: higher consumption of coffee is associated with decreased risk of Parkinson’s,” Hu tells WebMD. That seems to be due to caffeine, though exactly how that works isn't clear, Hu notes. “All of the studies have shown that high coffee consumption is associated with decreased risk of liver cirrhosis and liver cancer,” he says. That's a "very interesting finding," Hu says, but again, it's not clear how it might work. In August 2010, the American College of Obstetricians and Gynecologists (ACOG) stated that moderate caffeine drinking -- less than 200 mg per day, or about the amount in 12 ounces of coffee -- doesn't appear to have any major effects on causing miscarriage, premature delivery, or fetal growth. But the effects of larger caffeine doses are unknown, and other research shows that pregnant women who drink many cups of coffee daily may be at greater risk for miscarriage than non-drinkers or moderate drinkers. Again, it's not clear whether the coffee was responsible for that. You won't break your calorie budget on coffee -- until you start adding the trimmings. Drink a lot of coffee and you may head to the bathroom more often. Caffeine is a mild diuretic -- that is, it makes you urinate more than you would without it. Decaffeinated coffee has about the same effect on urine production as water. Frank Hu, MD, MPH, PhD, professor of nutrition and epidemiology , Harvard School of Public Health. James D. Lane, PhD, professor of medical psychology and behavioral medicine, Duke University Medical Center, Durham, N.C.
Barbara Shukitt-Hale, PhD, research psychologist, USDA Human Nutrition Research Center on Aging, Boston. van Dam, R. Journal of the American Medical Association, July 6, 2005; vol 94: pp 97-104. Huxley, R.. Archives of Internal Medicine, Dec. 14-28, 2009; vol 169: pp 2053-2063. American Heart Association Nutrition, Physical Activity and Metabolism/50th Cardiovascular Disease Epidemiology and Prevention conference, San Francisco, March 2-5, 2010. Lopez-Garcia, E. Circulation, Feb. 16, 2009; advance online edition. Marjo, H. Journal of Alzheimer’s Disease,January 2009; pp 85-91. Galeone, C. Cancer Epidemiology, Biomarkers & Prevention, July 2010; published ahead of print. American Association for Cancer Research International Conference on Frontiers in Cancer Prevention Research, Houston, Dec. 6-9, 2009. American College of Obstetrics and Gynecology Committee on Obstetric Practice, Obstetrics & Gynecology. August 2010, vol 116: pp 467-468.